I think the shirt says it all! Oh just wait momma, it gets WORSE as they get OLDER. 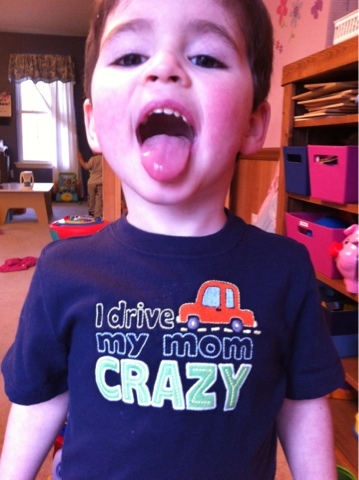 Oh he is SO adorable and I love the shirt. Keep the lotion bottles away, far away!! Aint that the truth! As much as I will miss my darling daughter next year.....I can't wait to make a meal without complaints and not have a tried teen and some grumpiness answers "WHAT" in that tone! lol....kids! Hippity Hop! Easter's on it's way!